Mardome Manual Hit and Miss Trickle Vent. Lead Time: Approx. 1 - 10 working days. This Mardome Trickle Vent upgrade allows for 2 trickle vents to be installed either side of a Mardome unit, sizes 600 x 600 mm and above. 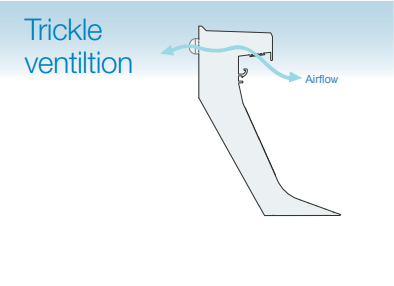 Mardome trickle vents meet the requirements of BS EN 13141 Part 1 2004 for air flow, air leakage and weather tightness. The vents are incorporated discreetly within the Mardome kerb or into a direct kerb adaptor which is supplied as standard with any ventilated Mardome fitted to a builders upstand. Provides 8400 mm2 Equivalent Area ventilation and provides superior protection against condensation.